A Breathing Space for Small Business? 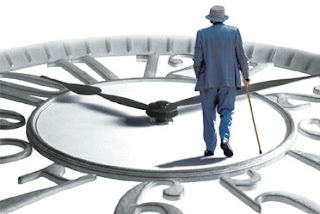 Governments of every political hue have become increasingly focussed on the pension problem over the last thirty years. 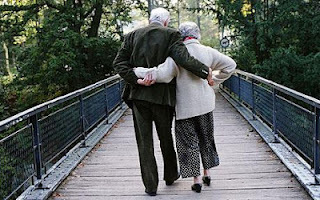 The current UK government, building on its predecessors plans to enrol as many people as possible in a pension scheme has been making moves towards compulsory entry into a private pension scheme for the majority of workers. The scheme has been designed to make opting out the standard, as opposed to the current situation where employees have to opt in to a pension scheme. The government, has however, apparently taken its own lead and has opted out of fully implementing the scheme until 2018. Previous dates have included 2015, 16 and 17. The recession, now its double dip phase, has been cited as the reason for the delay in full implementation of the scheme. Auto-enrolment is designed to apply to workers between the age of 22 and the state pension age earning more than £8,105 per annum, and not already a member of a recognised pension scheme. Employers are required to make contributions to the pension and this seems to be the sticking point for the government. To be fair, this is a bit of rock and hard place situation for both government and employers. While it is in everybody’s interest to close the pensions gap that we are all hurtling towards – as both individuals and a society – the government has been regularly targeted for not promoting the interests of small businesses. By delaying the implementation of auto-enrolment they are attempting to take the burden off small and medium employers and encourage them to create opportunities. Balancing the priority of pension provision and creating opportunities for employment and economic growth is a tough one at any time and currently for the government and businesses it makes sense to delay the implementation. The Department for Work and Pensions, have stated that 2018 is now the last possible date (honest, guv) and that they will stick to this timetable. The first stage of the auto-enrolment scheme comes into force from October this year. Between that date and October 2017 companies with smaller numbers of staff will be required to join the scheme with those employing fewer than 50 employees being the last to join. The level of contributions will, by October 2018, be a minimum of eight per cent, three per cent of which must come in the form of employer contributions. As with the gradual implementation of dates, this figure is staggered with key dates being the minimum three per cent from October this year (two per cent employee/one per cent employer), which rises to a minimum of five per cent in October 2017 and finally the full eight per cent in October 2018. While the delay and gradual implementation of both the minimum rates and the requirement for businesses to start auto-enrolment may take some pressure off small businesses it’s absolutely crucial that those businesses begin to consider the implications now. Even if you are not required to enrol employees at this stage, it’s worth considering the impact this will have on your balance sheet as soon as possible. This is particularly true for anybody looking to increase and grow their business over the next few years. The key point to consider is how staff expansion may affect the requirement to join the scheme, earlier than you required to do. Ultimately the benefits to employers and employees of the new rules on pension provision will be beneficial. The delay in implementing the scheme in full should give most businesses time to plan ahead and to manage their businesses effectively through the transition period. For small businesses beginning to plan now for the changes will be the best way to minimise the impact when they finally come into force. Small firms may well benefit the most from the delayed implementation of new pension regulations. A pension calculator may help individuals to understand their pension provision, but for businesses making some calculations of their own now, may help to ease the transition.